The Captain and I are back out on the road, exploring the west coast. One of my biggest complaints continues to be the lack of a decent internet connection in RV Parks, and State and National Parks. As more and more of us are working from home and require a decent internet connection, it is very frustrating not to be able to connect. After two months at home and having access to the internet instantaneously, it was really hard to go back to not having any connectivity at all (without going to Starbucks or Panera Bread to use their wi-fi). M wi-fi hotspot device is pictured above. This method uses the data plan you have purchased through your cell phone provider. If you don’t have a great connection, then you are going to be using a lot of data, and we all know data is expensive. When I travel, I up my data usage to 15GB a month, and when I am home I suspend my wi-fi hotspot device (which is $20/month) and downgrade my data plan to 5 GB a month. However, if you don’t have a good cell phone signal, your wi-fi hotspot isn’t going to work. In the RV park the Captain and I are staying in, neither one of us have a good cell phone signal, I have AT&T and he has Verizon. In that instance, attempting to use a wi-fi hotspot isn’t going to get you a good internet connection. 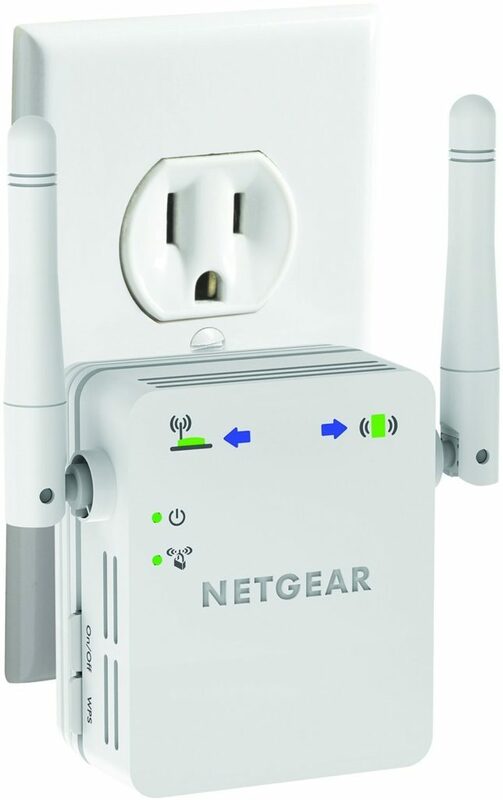 Another option I tried was a wi-fi range extender like the one you see above. However, this device didn’t work for me because of all of the metal, and fiberglass not only in our RV but all of the other RVs between my range extender and the wi-fi hot spot located within the park. For best results, you need to have a clear line of vision between your range finder and the wi-fi hot spot. (I returned this model). 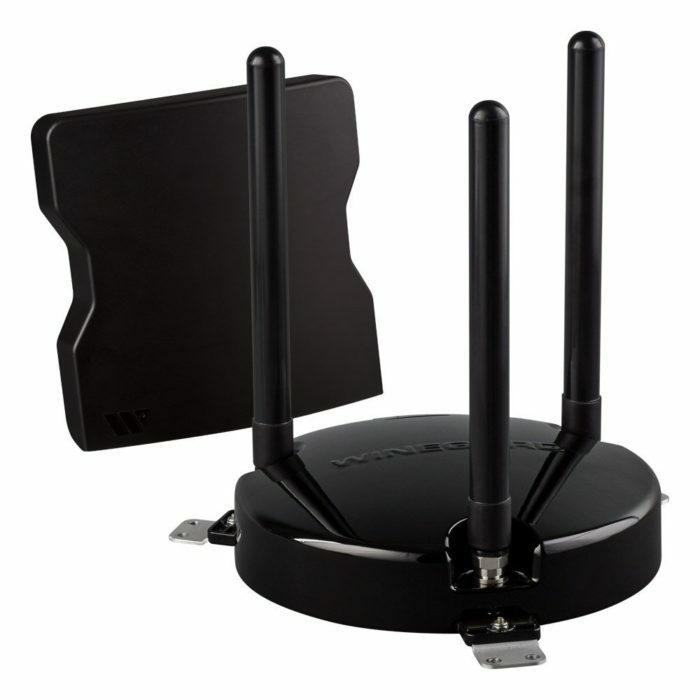 This type of device works best in aiding a better signal through the wi-fi in your home. This seemed like the PERFECT solution to my internet woes. The guy I talked to in the RV park highly recommended this antenna. He had his mounted on a long pole and had it attached to the ladder on the back of his motor home. The unit I purchased came with suction cups, and I mounted it in the bedroom window (the highest point in our 5th wheel without mounting the antenna on the roof). However, I had to run a cable from the antenna through the RV to my laptop, which would have been fine. However, when I went to install the software, the operating system on my Mac was not supported (the software did support Mac operating systems, but my system had been upgraded beyond what the software would support). After a call to the 800 number provided in the instruction manual, I was informed that indeed my operating system was not supported and there were no plans to provide an upgrade to my operating system. So I returned that device as well. This antenna may work for you if your operating system is: MAC OS 10.3 – MAC OS 10.8, Windows 2000 – Windows 10, Linux Krenel 2.6, Ubuntu 10.10. So, I tried all of the least expensive options to get connected without success. 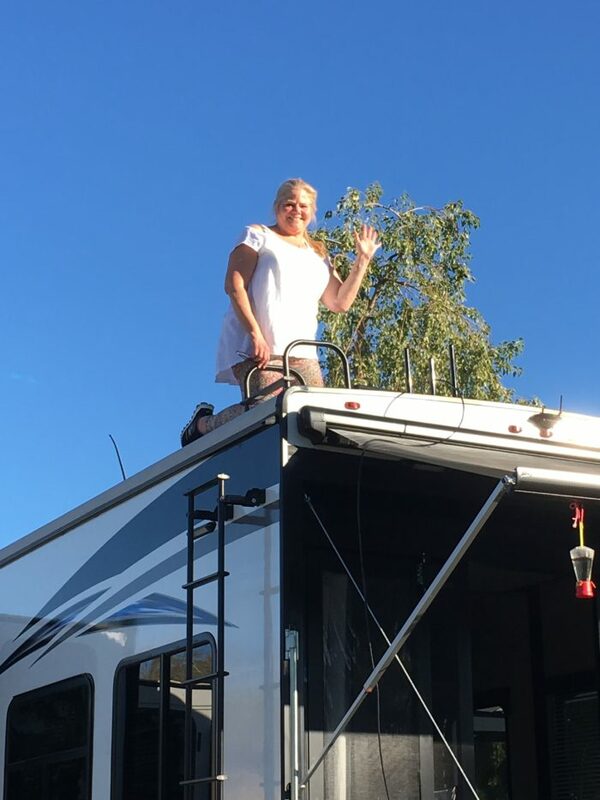 There I am securing the antenna to the roof of the RV with duct tape (going to have a professional mount it securely to the roof — I was not about to drill holes in the roof of the RV). I ran the cable from the back of the antenna through the RV and to the wireless router (which was included in the box). I followed the instructions on setting up the router, and now I FINALLY have a decent Internet connection. The connection does drop occasionally, however, the connectivity is much better than before. The best feature is I can connect wirelessly with my laptop, phone and iPad. Keep in mind, if there is no wi-fi available, you won’t be able to get onto the Internet, no matter what device. Hope this help you get connected the next time you’re out on the road. 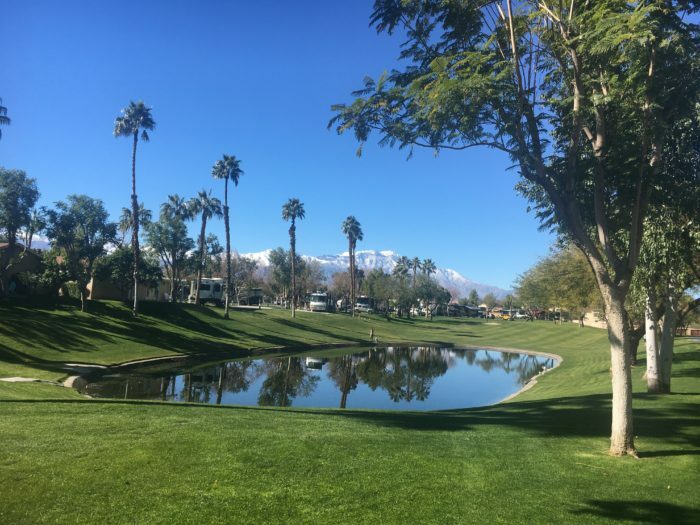 This entry was posted in Life On the Road, Portfolio, RV Living, Travel Tips and tagged Internet while camping, RV Connection in RV Parks, Wi-fi Extender, Wi-fi Hotspot Device.